Zoho One is a revolutionary all-in-one suite to run your entire business—an unprecedented 35+ integrated applications on one account, with complete administrative control. It allows you to get things done efficiently and helps to increase productivity in all aspects of your business. This allows you to focus on what you do best. Starting with these core apps of Zoho Books, Zoho Expenses, Zoho Projects, Zoho CRM and Zoho Reports, you have access to insightful and important decision-making information to help to transform your business operations. Using a comprehensive, integrated suite of cloud based apps that’s customizable to fit the needs of your business is key to efficiently performing the business operations. 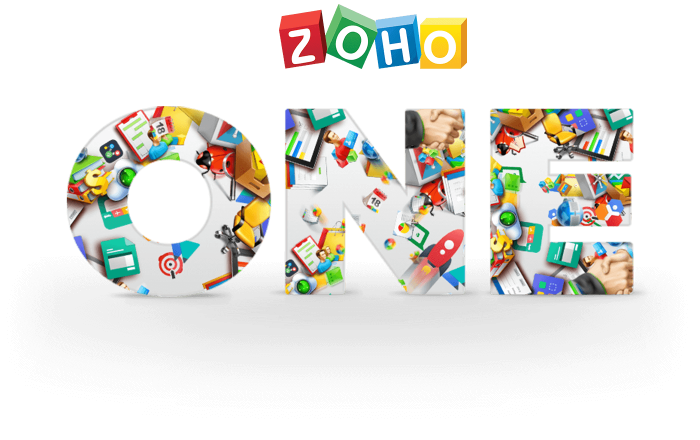 A software platform like Zoho ONE is an ideal business solution since it’s one integrated platform to manage the entire business. Manage all your projects in a single place. Add tasks, assign project members, and log time from your mobile phone, or hit the timer button. With us, you can be sure to get your work done on time.